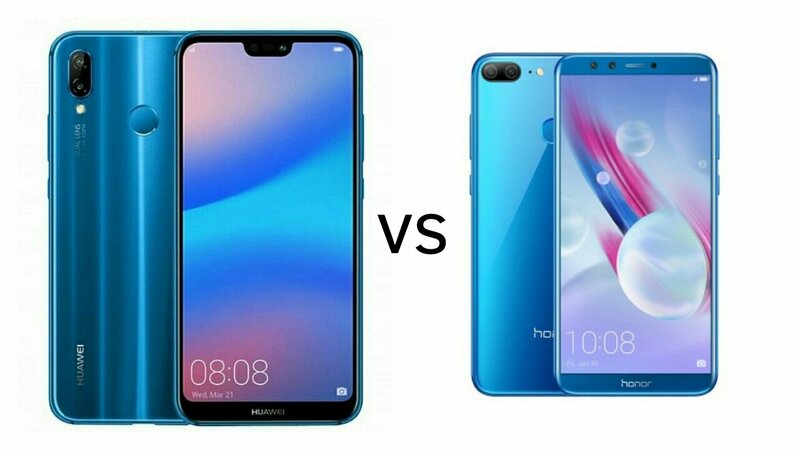 Huawei has launched Huawei P20 Lite with Dual Rear Camera, 19:9 Display, Check out Price, Specs, Features comparison and difference between Huawei P20 Lite and Honor 9 Lite smartphones. Both Phones have Glass Body, Dual Rear Camera, Fingerprint Scanner on the Rear, Octa Core Kirin 659 processor, and 3000mAh Battery. Huawei P20 Lite comes in Klein Blue and Midnight Black colors priced at Rs 19,999. Honor 9 Lite is priced at Rs 10,999 for 3GB RAM and Rs 14,999 for 4GB RAM. Huawei P20 Lite has Notch Display, 24MP front camera, USB Type C whereas Honor 9 Lite has 24MP front camera both Phones has Glass Body, 3000mAh battery.